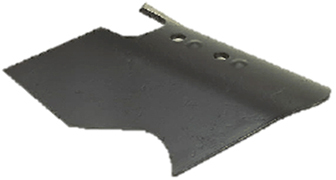 For model year 2016, there is the option to have all shanks with holes. 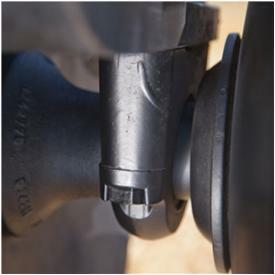 This is available for the 102-, 152-, and 203-mm (4-, 6-, and 8-in.) 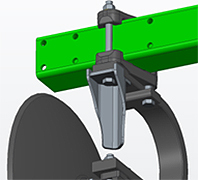 parabolic standard configurations. 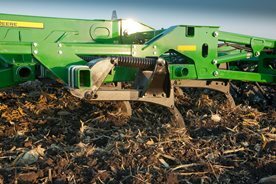 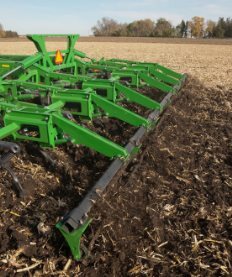 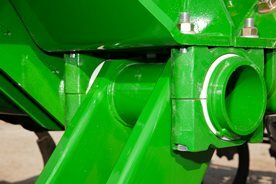 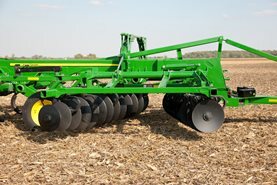 All model years of 2730 Combination Rippers are compatible with TruSet variable tillage technology. 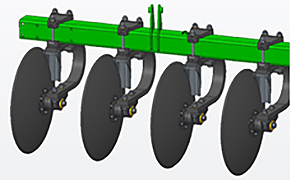 TruSet can be ordered as factory-installed option on the 2730 or as an aftermarket kit. 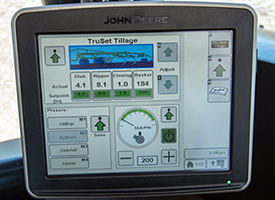 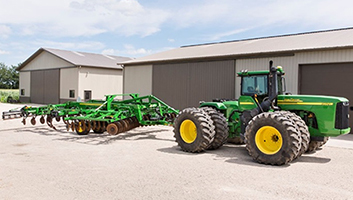 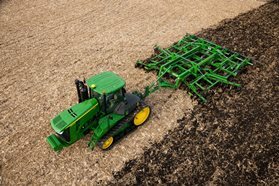 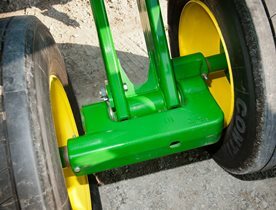 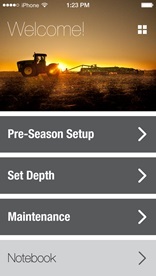 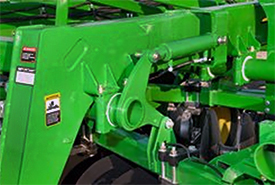 John Deere and competitive tractors are compatible with TruSet. 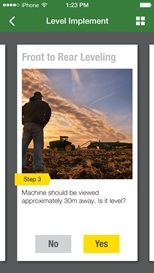 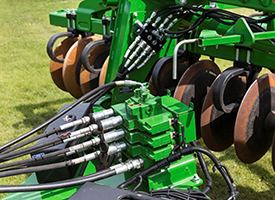 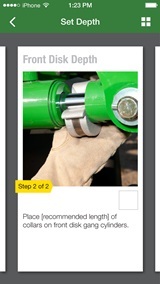 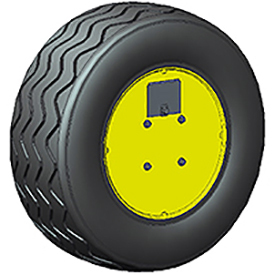 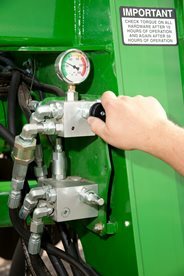 Depending on the tractor model, a compatibility kit with an add-on selective-control valve (SCV) may be required. 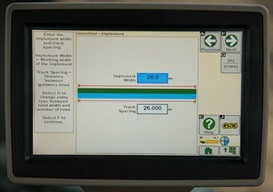 Please reference the following chart for the components needed to equip TruSet on a 2730 with a GreenStar™-ready tractor. 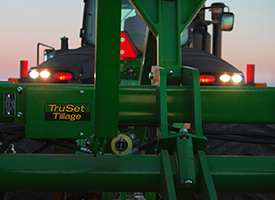 For the 2730, TruSet kits correspond to the number of standards on the implement. 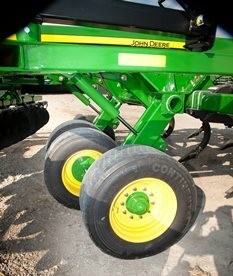 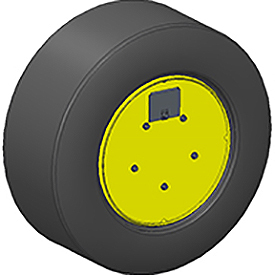 The wheel covers for the 340/65R18 and 445/50R22.5 tires on the 2730 Combination Ripper prevent dirt and mud buildup.